Edgartown courthouse closed Thursday and reopened Friday. The Edgartown courthouse reopened Friday morning following a daylong closure due to the discovery of asbestos. 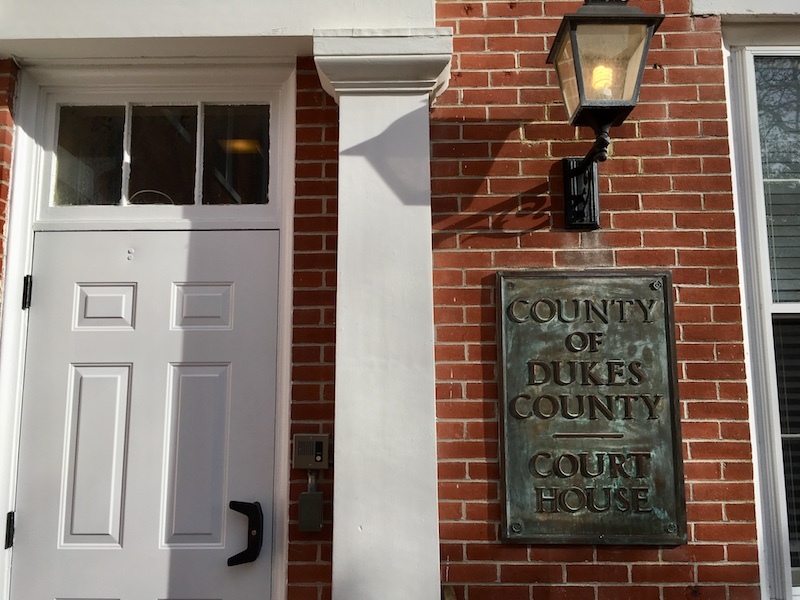 The courthouse was closed all day Thursday after asbestos was found in a crawl space near the heating system when workers came to repair a faulty boiler. Superior court clerk Joseph E. Sollitto Jr. was in his office Friday morning, and said the administrative head of the trial courts had allowed the building to reopen. The asbestos was found covering a pipe in the building’s crawl space last week during a chimney cleaning, county manager Martina Thornton said Thursday morning. At the time she said an off-Island company was en route to the Island to remove the asbestos, but got stuck in Woods Hole due to an incorrect ferry reservation. The work crew was reportedly due to arrive Friday, but Mr. Sollitto said Friday morning that he understood the crew was scheduled to come Monday. Ms. Thornton was not immediately available for comment. The county owns the courthouse and is responsible for its upkeep. At a special county commission meeting held last Wednesday, Ms. Thornton said commissioners approved transferring $25,000 in county emergency funds to pay for the asbestos removal. She said she expects the chimney flue will also need to be re-lined and could cost up to an additional $25,000. “It looks now like it will take more,” she said. Asbestos, which can pose serious health risks if its fibers are inhaled, is one of a string of safety issues facing the aging courthouse, including wheelchair access and fire compliance.